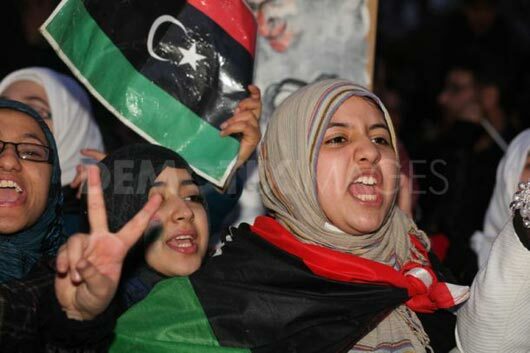 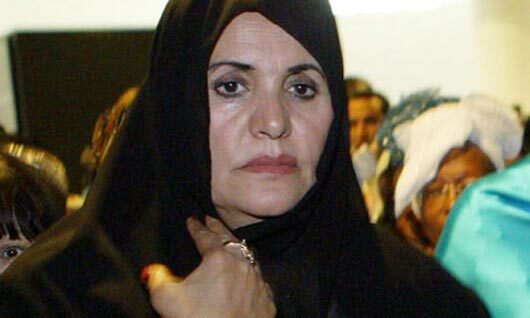 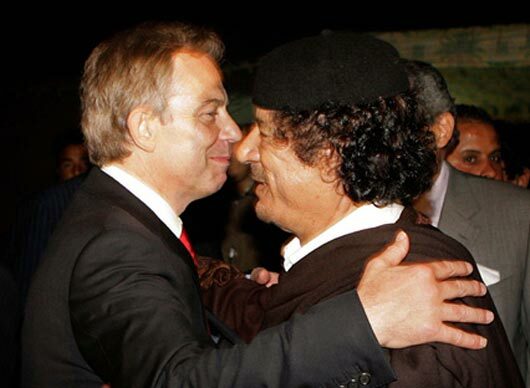 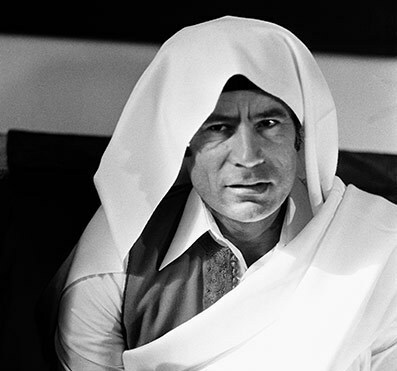 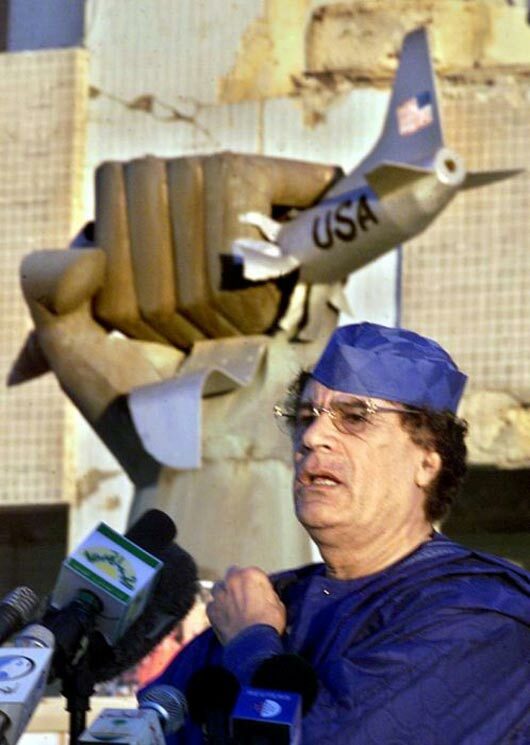 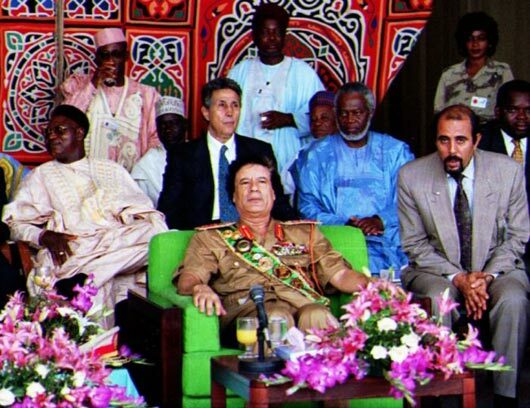 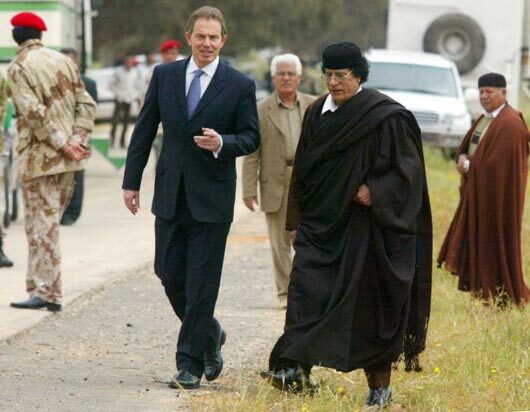 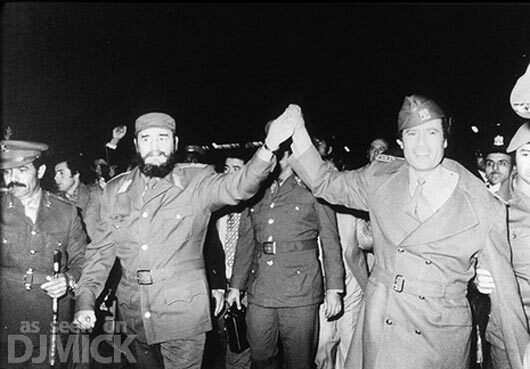 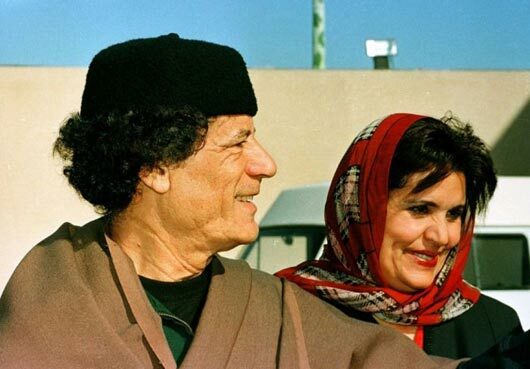 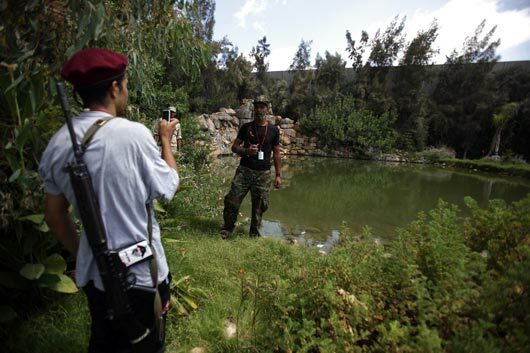 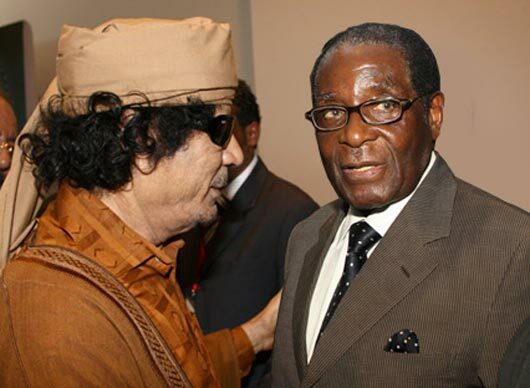 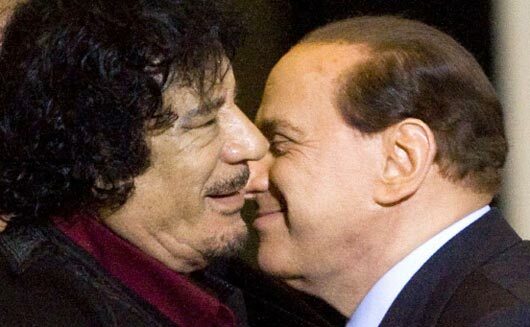 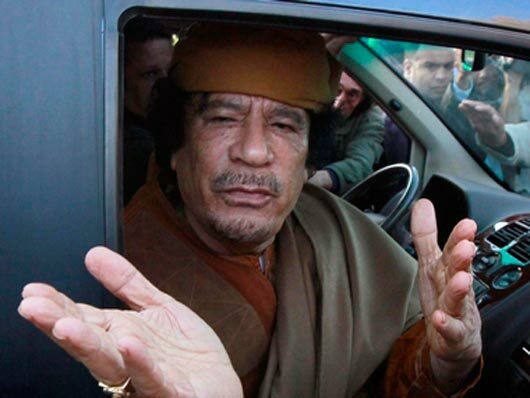 We have a photos collection of the Gaddafi. 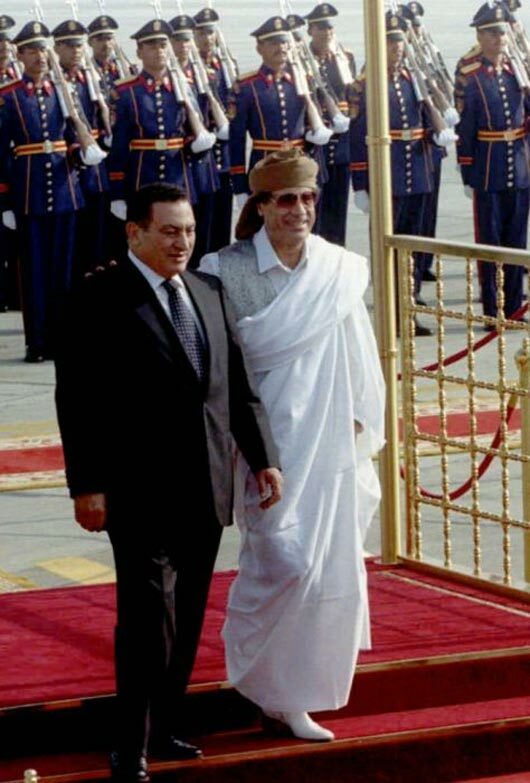 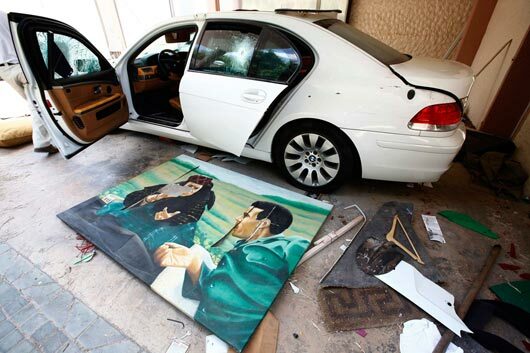 These photos are got from some famous resources such a collection of Gaddafi’s photos which present him. 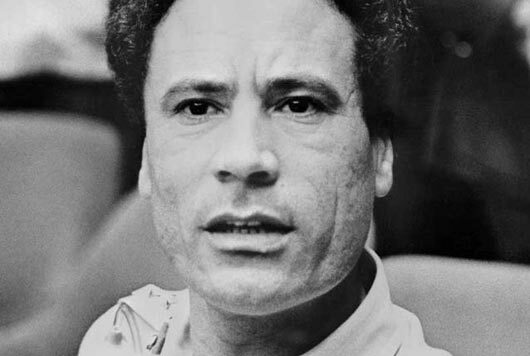 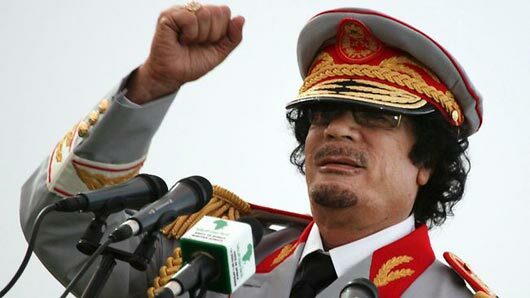 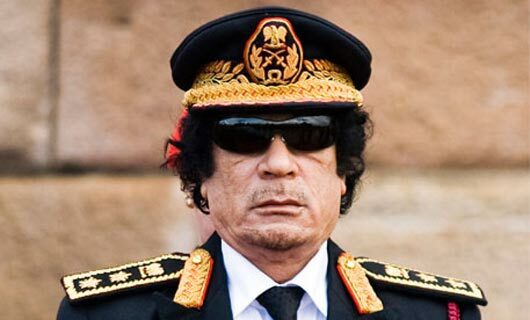 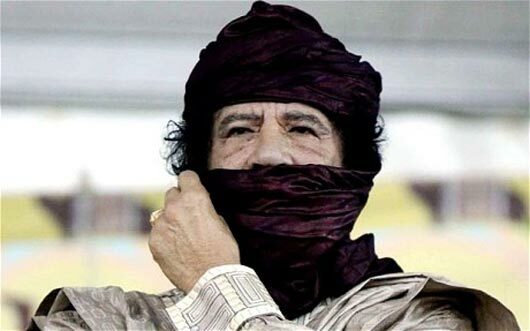 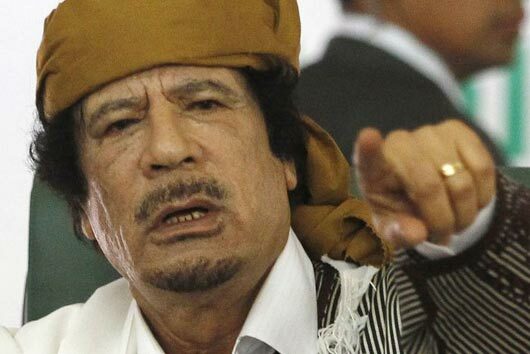 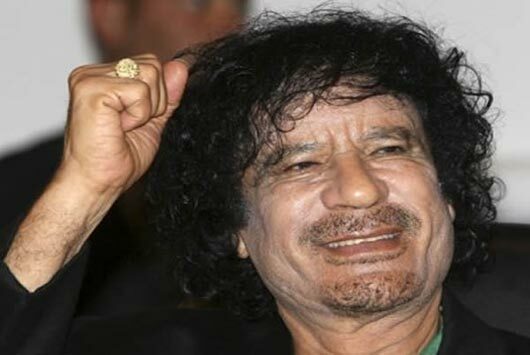 The Gaddafi’s updates, he born in 1942 and he be famous on 01 Sep 2010, and 41 years he had control as the Arab world’s biggest-serving, but, mostly not mysterious head of state. 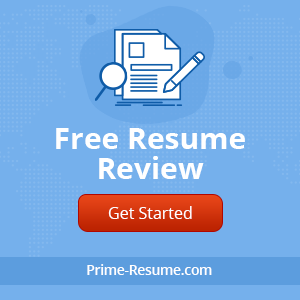 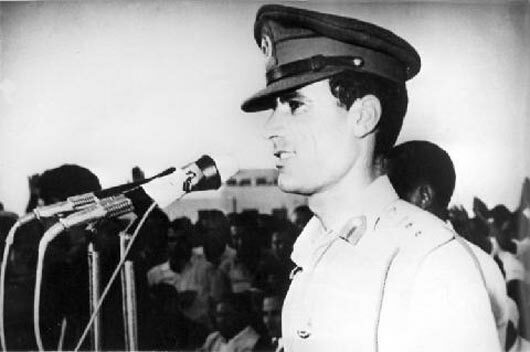 He formed in 1963 the Free Officers Movement. 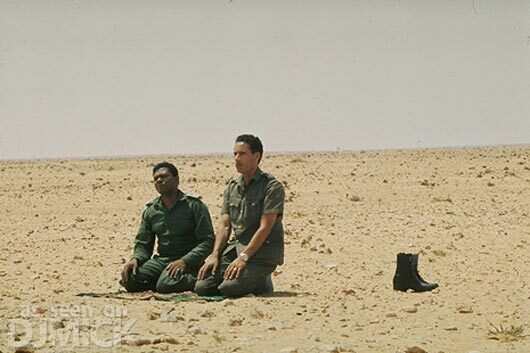 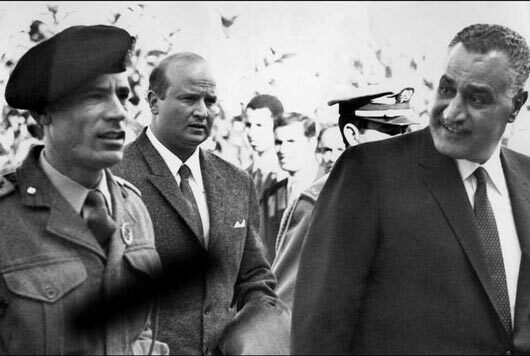 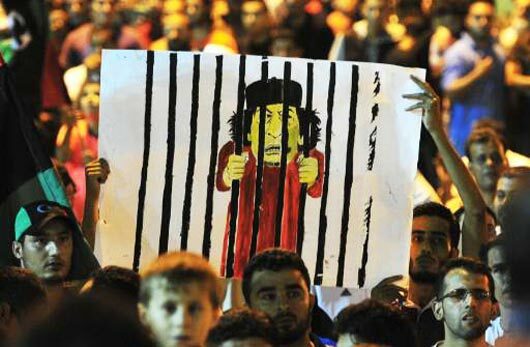 A group of revolutionary army officers and the group conquered 01 Sep 1969 king of Libya and proclaimed Libya, in the name of freedom socialism and unity “Socialist People’s Jamahiriya”, And now he is facing an unprecedented problems to his regime after days of discontent across Libya. 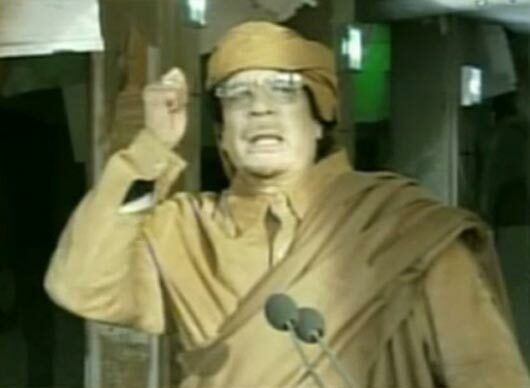 Nobody can say anything about it that when it will be end. 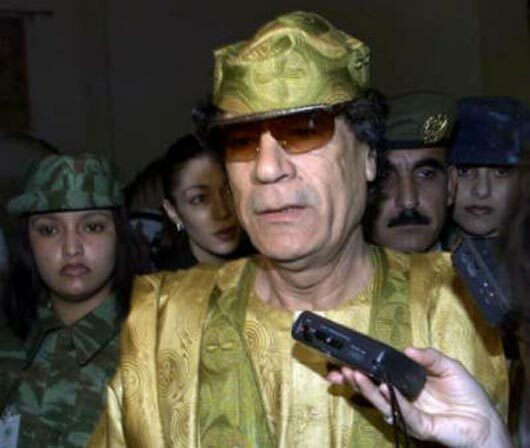 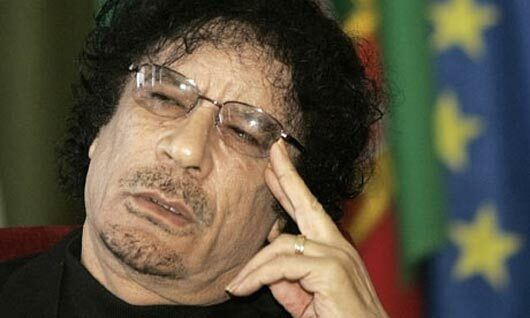 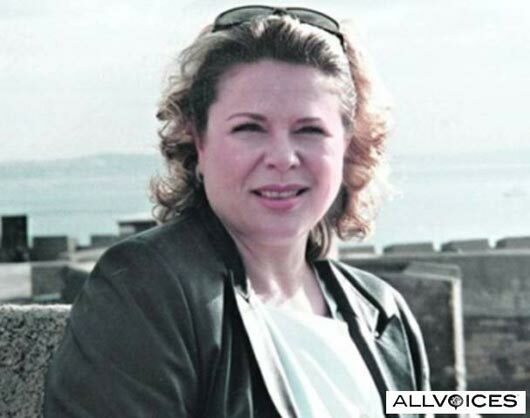 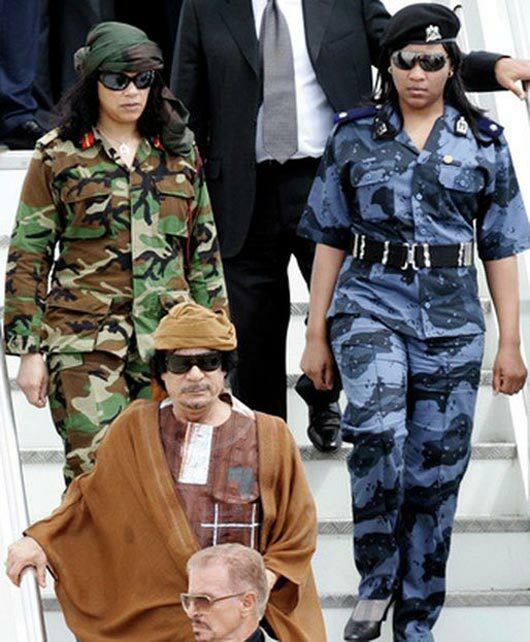 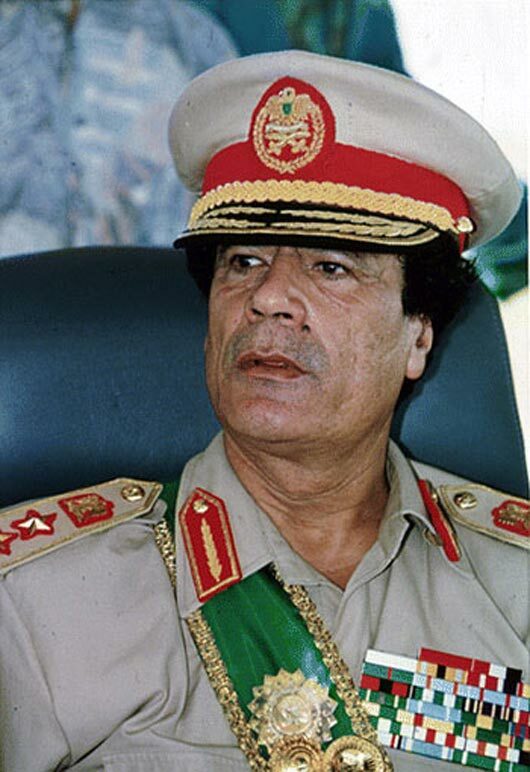 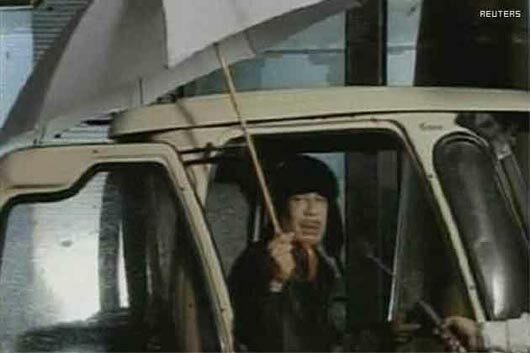 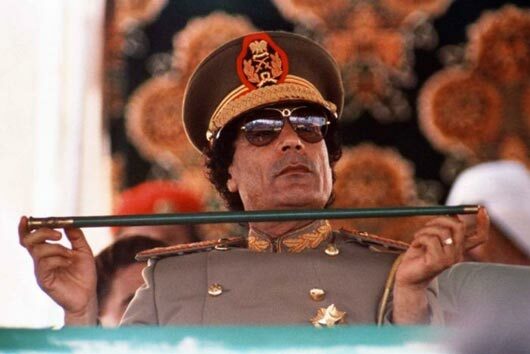 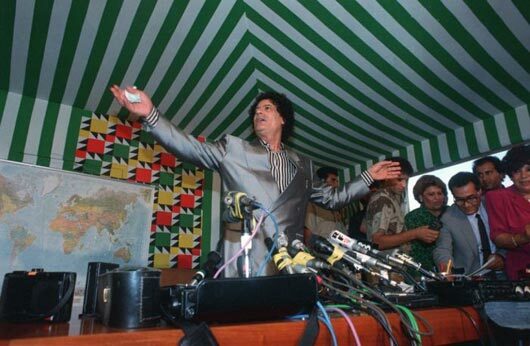 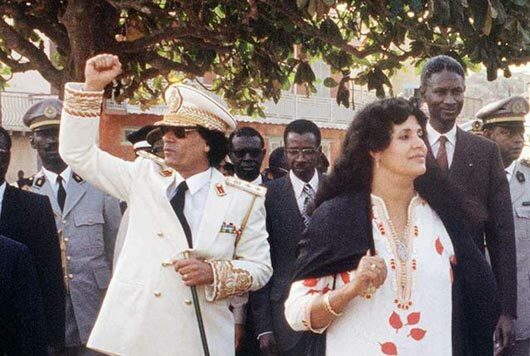 And we have a look back at the life of Gaddafi you can see it from these photos. 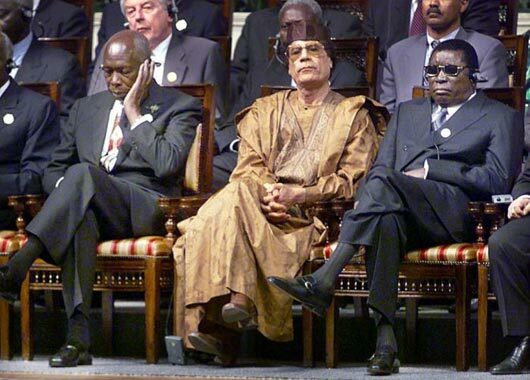 These photos present his whole life. 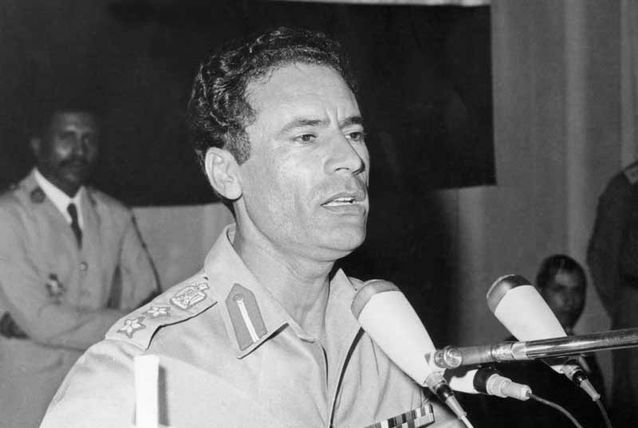 Taken 04 August 1975 in Kampala of Libyan Head of State Colonel Muammar Gaddafi during the summit of the Organization of African Unity (OAU). 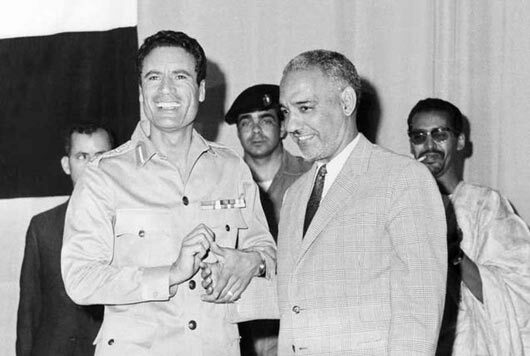 Libyan Head of State Colonel Muammar Gaddafi (L) and Egyptian President Gamal Abdul Nasser (R, 1918-70) arrive together in December 1969 in Rabat prior the Arab Summit Conference (AFP/Getty Images). 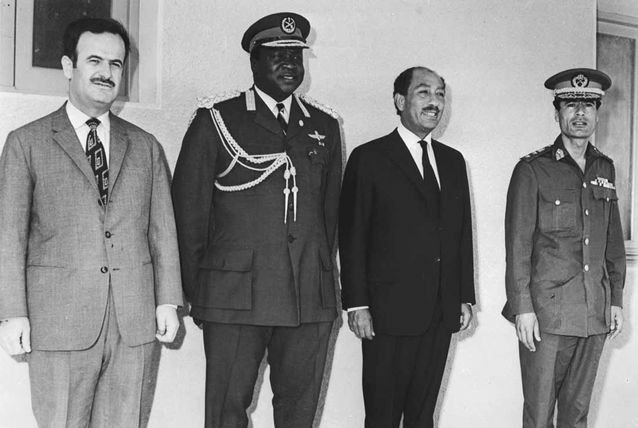 President of Uganda Idi Amin Dada (2nd-L) poses with some of the Organization of African Unity (OUA, from left) Syrian President Hafez al-Assad, Egyptian President Anwar El Sadat and Lybian leader Muammar Kadhafi in June 1972 in Kampala during an OUA summit. Idi Amin’s reign of terror lasted from 1971 when he seized power from Milton Obote, to 13 April 1979, when Tanzanian troops and exiled Ugandans stormed Kampala and removed him from power (AFP/Getty Images). 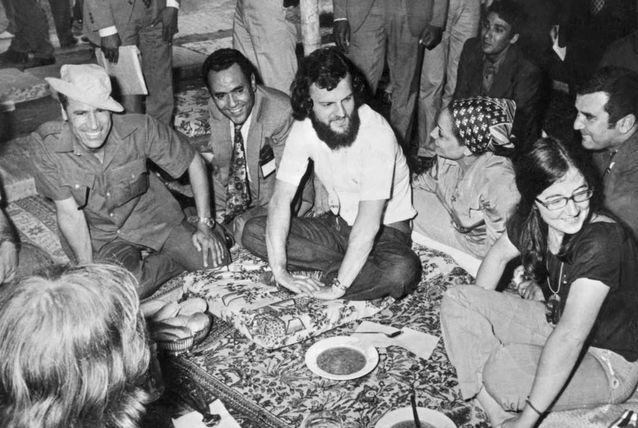 Picture dated July 1973 of Libyan Head of State Colonel Muammar Gaddafi (L) joking in Tripoli with a group of British hippies(AFP/Getty Images). 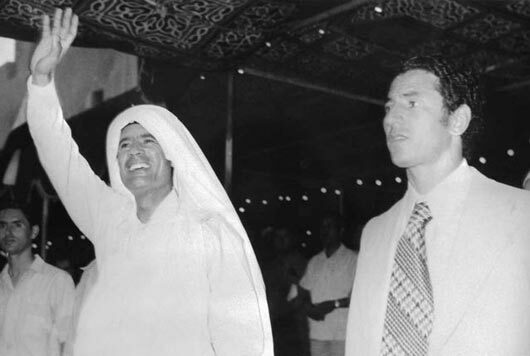 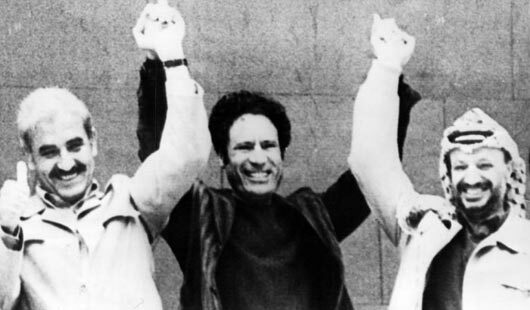 Libyan Head of State Colonel Muammar Gaddafi (L) waves to the crowd in June 1975 in Tripoli followed Commandant Abdussaman Jalloud (R), the number two of the Libyan regime (AFP/Getty Images). 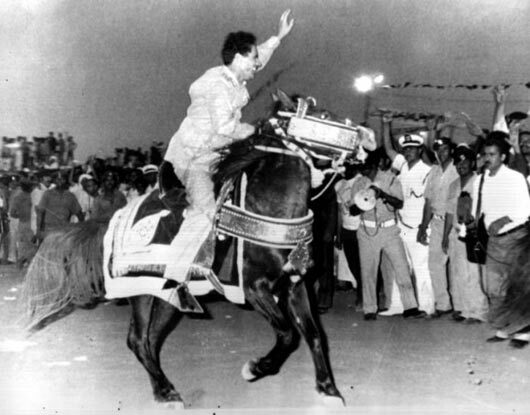 Libyan Head of State Colonel Muammar Gaddafi (L) and his wife Suffiya (R) wave to the crowd 03 December 1985 in Dakar, followed by President of Senegal Abdou Diouf (2nd row-R) upon their arrival for three-day official visit to Senegal (AFP/Getty Images). 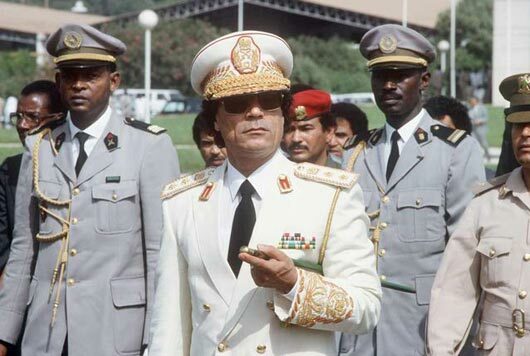 Libyan Head of State Colonel Muammar Gaddafi (C) reviews troops 03 December 1985 in Dakar upon his arrival for three-day official visit to Senegal. 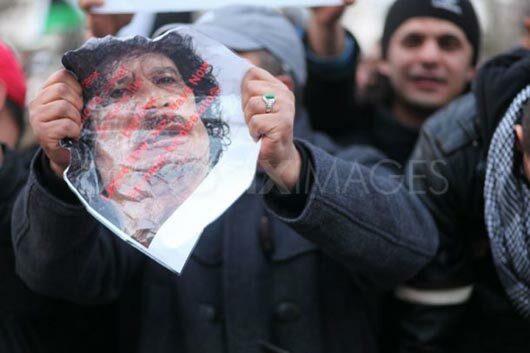 (AFP/Getty Images) . 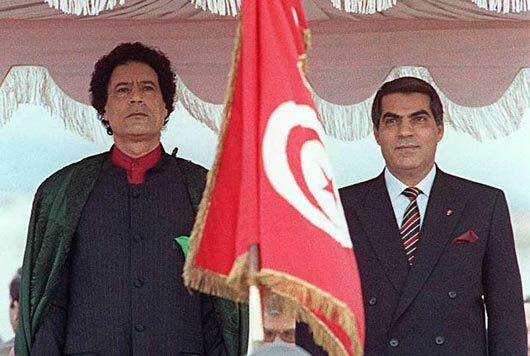 Tunisian President Zine El-Abidine Ben Ali (R) and Libyan leader Muammar Gaddafi listen to the national anthems 04 February 1988 at Tunis airport upon Kadhafi arrival for an official visit in Tunisia, the first for more than ten years (AFP/Getty Images). 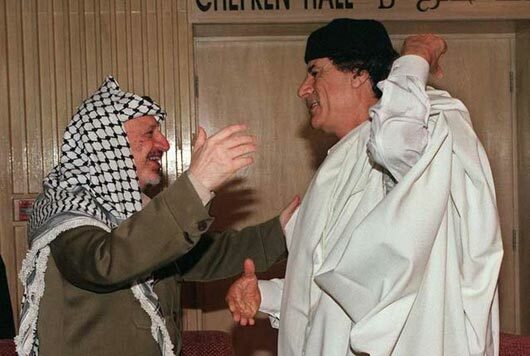 Yasser Arafat (L), Chairman of the Palestinian National Authority, greets Libyan President Muammar Gaddafi on June 22, 1996 during the 19th Arab Summit in Cairo, Egypt. 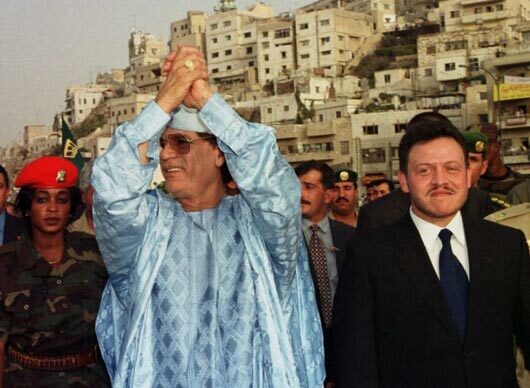 The two Arab leaders met for the first time since the Gulf war in 1991 (AFP/Getty Images) . 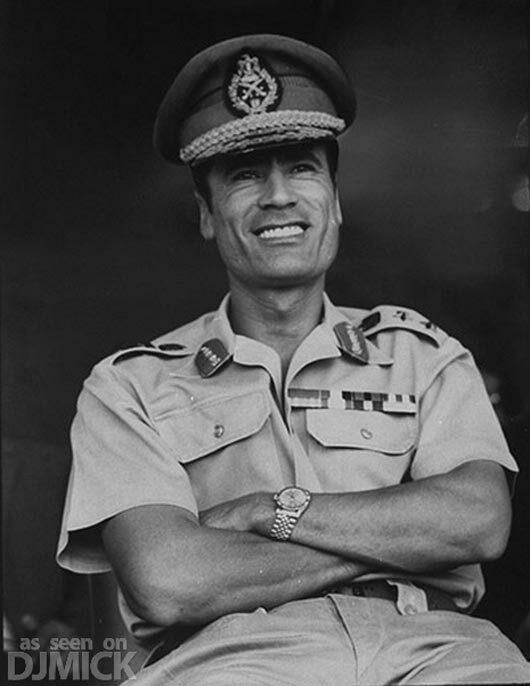 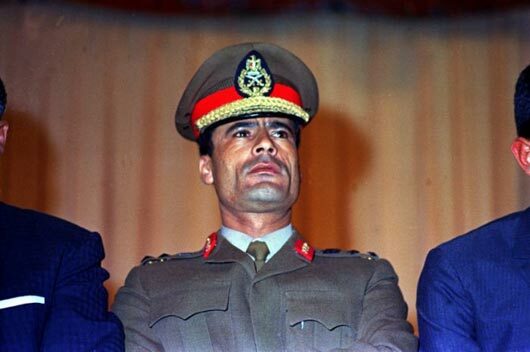 Rest in Peace Mr. Muammar Khaddafi.